Many of our customers are not engineers and don’t know the difference between a transistor and a diode (and don’t care to learn.) However many would like to know in layman terms how Avalon breathes life into each and every product. The underlying principle behind the Avalon sound is a cumulative effect of many decisions made by Avalon’s founder Wynton Morro. 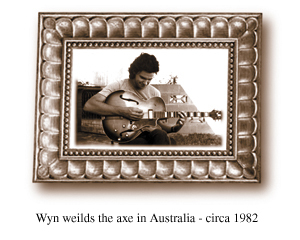 At every stage of development Wyn made his decisions based on sonic performance and musical integrity - not cost. This “no compromise” design approach enables Avalon’s carefully engineered systems to enhance the creative senses and become one with the music itself. There are three design principles that form the foundation for all Avalon products. larger and more expensive transformer and a way to dissipate the heat to run in the preferred sounding Class A mode. 100% discrete means that Avalon uses discrete electronic components in the audio signal path. 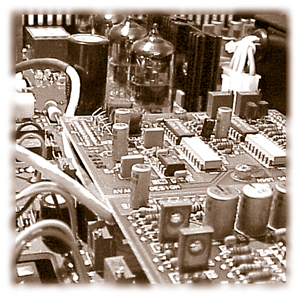 Only resistors, transistors, capacitors, diodes, tubes, etc. are used in the audio stream. Avalon does not use integrated circuits (IC’s) such as operational amplifiers (op-amp’s) to boost signal level. 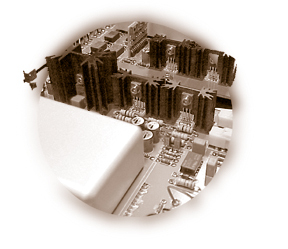 IC’s and op-amp’s have the distinct characteristic of coloring, distoring, or muffling the sound. Using discrete electronics ensures the purest and biggest sound possible. Also IC’s and op-amps cannot run at high voltages.